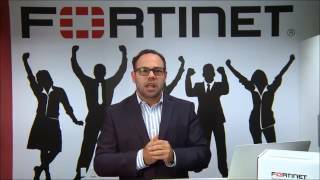 Fortinet permite a sus clientes una protección inteligente, transparente a través de la superficie de ataque en expansión y el poder de asumir cada vez mayores requisitos de rendimiento de la red sin fronteras - hoy y en el futuro. Sólo la arquitectura de seguridad de Fortinet te ofrece seguridad sin compromiso para hacer frente a los desafíos de seguridad más críticos, ya sea en red, la aplicación, la nube o entornos móviles. Fortinet ocupa el lugar # 1 en la mayoría de los dispositivos de seguridad enviados en todo el mundo y más de 290.000 clientes confían en Fortinet para proteger sus negocios. Effective protection is an absolute necessity in today’s rapidly growing threat environment, as is having a fast, reliable network. You can't afford to choose between comprehensive security and network performance, and with Fortinet solutions, you don't have to. Today's threats are more sophisticated and successful than ever. According to our Fortinet Threat Landscape Report (Q4 2016), on average, organizations were compromised by more than six active bots communicating back to their command and control infrastructures. Based on botnet activity, it was found 36% of organizations exhibited ransomware activity, so it should come as no surprise that an estimated $850M was paid in ransoms in 2016. Of course, that implies that the other 64% of organizations that exhibited botnet activity were impacted by other malware - highlighting the importance of stronger measures to deal with the volume and sophistication of today's threat landscape. With a dynamic attack surface due to the rise of IoT and cloud services, it’s clear that no one technology will be able to stop every threat. To protect your enterprise against sophisticated threats, it is important to establish a comprehensive and cohesive security infrastructure that is broad enough to cover all attack vectors, powerful enough to run the latest security technologies, and automated to keep pace with fast-moving attacks. Today’s business networks are becoming increasingly complicated as technology evolves and users require faster, always-available connectivity anytime, from any place. As threats rapidly increase in volume and sophistication, it gets more difficult to protect your system and applications. With the average small to medium business compromised by 4 pieces of malware, according to more than 1600 Fortinet Cyberthreat assessments in 2016, effective security is key for every business, regardless of size. Fortinet delivers the best Unified Threat Management (UTM) solutions to simplify your network infrastructure while delivering top-rated protection. With consolidation and easy management, you can focus on growing your business instead of managing your network. With advanced threats growing rapidly in number and sophistication, perimeter security is no longer enough to keep your sensitive information safe. Once a threat gains entry, it can spread and eventually extract the valuable assets it was sent to retrieve. You can dramatically improve your security by adding FortiGate Internal Network Segmentation Firewalls to your network to prevent the proliferation of threats once they get inside. ISFWs provide network segmentation inside the perimeter. They may sit in front of specific servers that contain valuable intellectual property or a set of user devices or web applications sitting in the cloud. Under constant attack, organizations cannot afford to choose between security and maintaining a high-performance business infrastructure. Your extended enterprise needs to prove security that won't compromise performance: from deep within internal segments, to physical and virtual data centers, to dynamic cloud environments. Deploying network security solutions from multiple vendors causes unnecessary complexity and introduces security gaps. Our Enterprise Firewall Solution delivers industry-leading security effectiveness with unmatched performance capabilities--through one operating system managed within a single pane of glass. This consolidated architecture gives you an immediate responsive and intelligent defense against malware and emerging threats with an integrated security fabric that extends across your borderless network. The FortiGate family of network security appliances represents the industry's broadest range of firewall platforms. 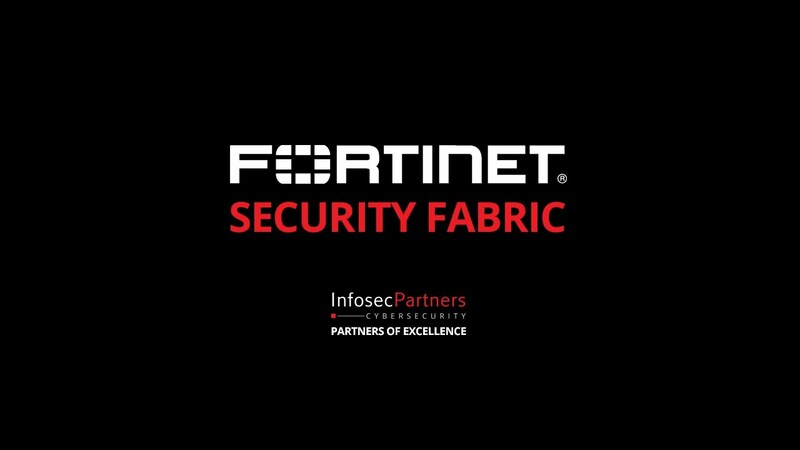 FortiGates, interconnected with the Fortinet Security Fabric, form the backbone of the Fortinet Enterprise Firewall Solution. The enterprise data center is evolving rapidly, incorporating technologies such as virtualization, software-defined networking, public cloud computing, along with advanced cyber security. Trying to apply traditional security solutions to these sorts of new technologies generally will not be effective. Enterprises need to evaluate their data center initiatives and how they will impact network security to ensure all areas of the data center remain protected. In today’s dynamic and complex data centers, security must be flexible, effective, and easy to manage. It needs to bring order to the chaos—not add to it. Fortinet can protect your physical, virtual, and cloud servers with one solution—whether it’s for data center, private cloud, or public cloud deployments. Web applications and email systems have long been favorite targets of hackers because they have access to valuable information and they are relatively easy to exploit. A successful attack can result in a variety of devastating consequences including financial loss, damage to brand reputation, and loss of customer trust. Most organizations do not recover from a major security breach, making it absolutely critical to protect your users and customers from threats that target applications and email systems. Our Data Center Application Security solution consists of a robust and integrated set of products to protect against these attacks. We are the only company that delivers a complete single-vendor solution with the proven performance and security effectiveness to meet the increasing demands of today’s data centers. In addition, our application security solutions can be integrated with FortiGate next generation firewalls and FortiSandbox sandbox for extra defenses against advanced persistent threats (APTs). The number and types of network-connected wireless devices and mobile applications continue to grow exponentially, presenting new vulnerabilities and increasing the attack surface. Users want fast Wi-Fi and a smooth experience across wired and wireless networks. IT needs reduced complexity of network management, application management, and device management. Securing business communications, personal information, financial transactions, and mobile devices involves much more than network access control. It requires scanning for malware, preventing access to malicious websites, endpoint integrity checking, and controlling application usage. As a result, IT departments are faced with the difficult task of balancing the requirements of network security with the flexibility to onboard the growing number and diversity of clients. Typical Wi-Fi solutions cannot satisfactorily address these requirements. Only Fortinet's Secure Access solution delivers three WLAN deployment options to meet the different WLAN requirements of today's enterprises. In addition to WLAN services, our secure access portfolio also provides the most flexible security platform with end-to-end enforcement. Potect your entire network from IoT to the cloud and everywhere in between with the industry-leading security, intelligence, and collaboration of the Fortinet Security Fabric. Broad: The Security Fabric covers the entire attack surface. Security can be applied to the network, endpoints, access, applications, and cloud. Powerful: The Security Fabric uses security processors to reduce the burden on infrastructure, delivering comprehensive security without affecting performance. Automated: The Security Fabric enables a fast and coordinated response to threats. All elements can rapidly exchange threat intelligence and coordinate actions. 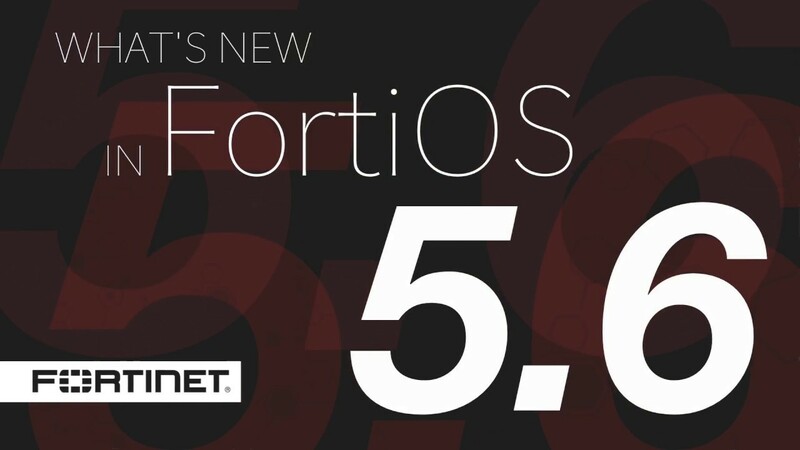 What's New in FortiOS 5.6?